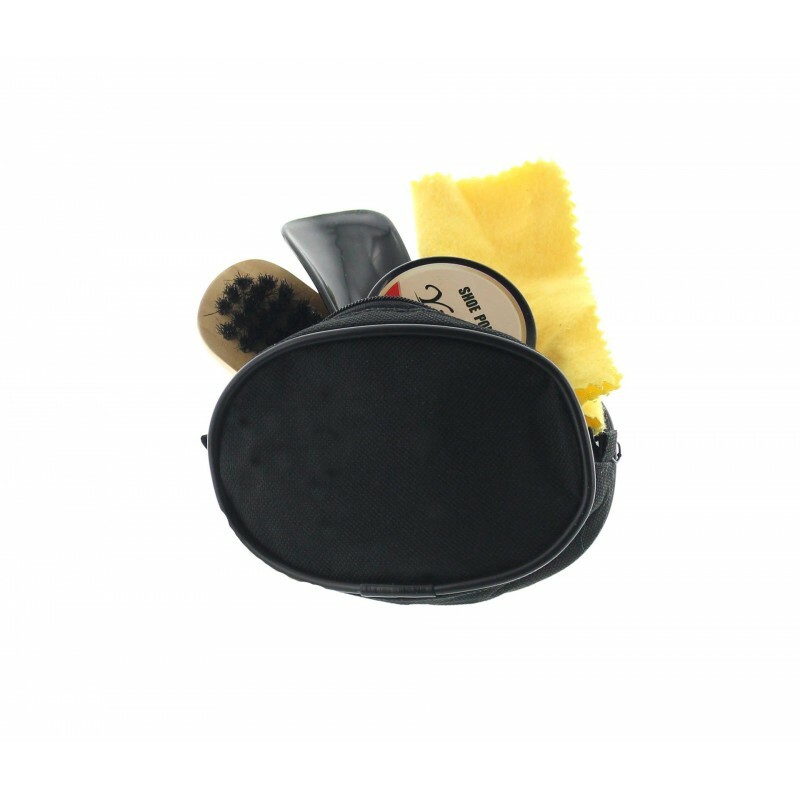 Compact shoe care kit with indispensable accessories for leather care and a shoehorn. 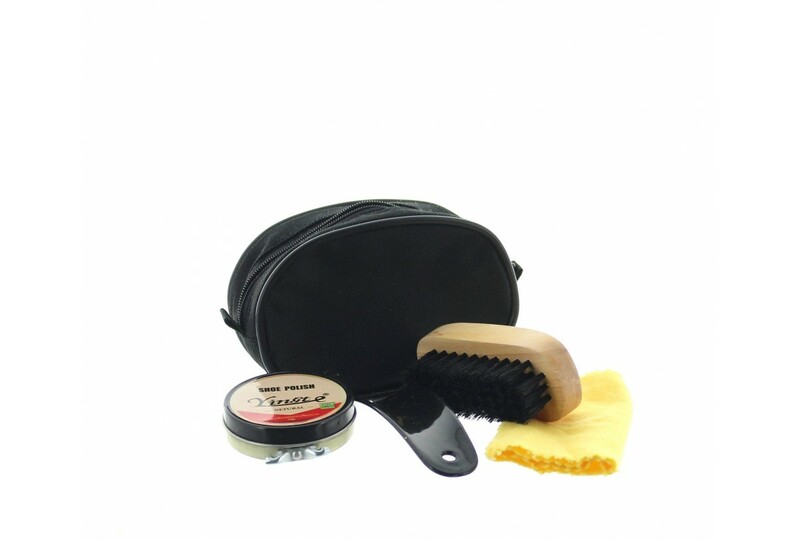 Compact shoe care kit with indispensable accessories for leather care and a shoehorn. 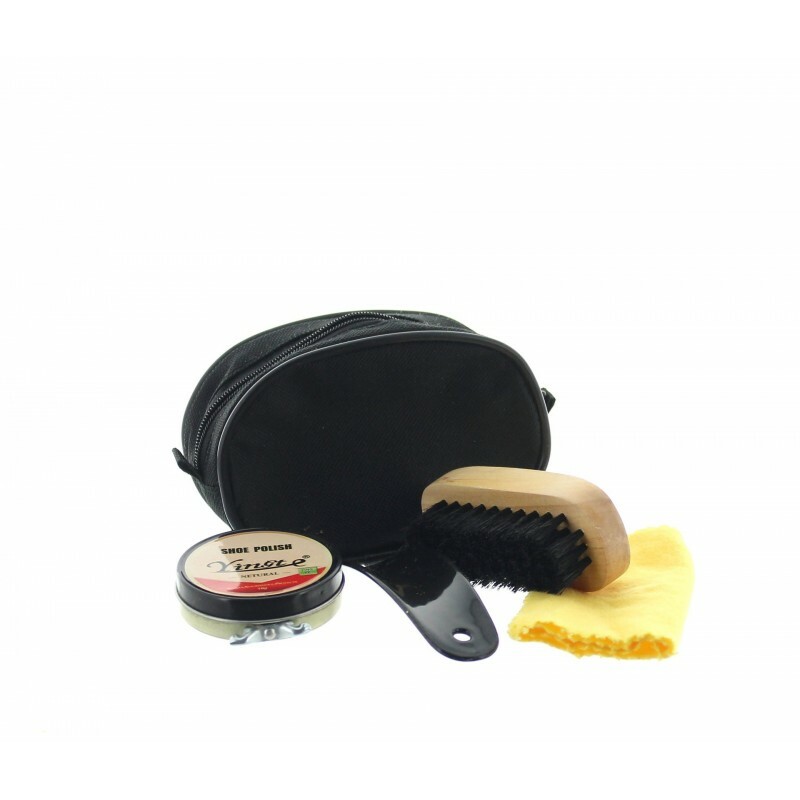 Easy to carry and to store in a bag or in the car. The ideal gift!